The Jammu and Kashmir Police Wednesday claimed to have busted an inter-state gang of drug smugglers with the arrest of six people in separate operations in Samba and Jammu districts. 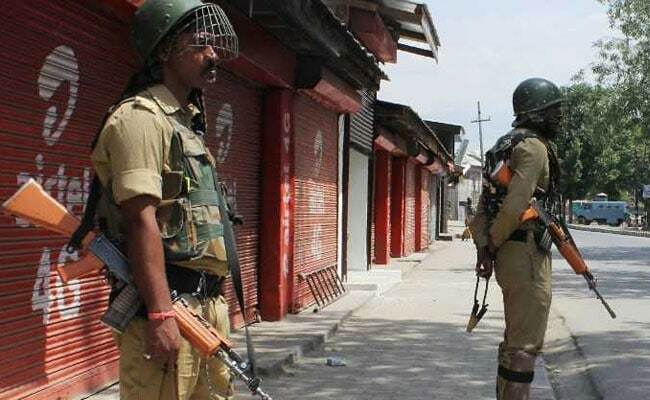 Two alleged drug peddlers, Firdous Ahmad Dar and Kounser Ahmad Dar — both residents of Bijbehara area of Anantnag district, were arrested during checking of vehicles in Nagrota, along the Jammu-Srinagar National Highway, a police spokesperson said. During a search of their vehicle, which was headed from Jammu to Kashmir, police seized 3.5 kilograms of high quality charas, he said, adding that a case had been filed against the accused. In the second incident, two trucks coming from Punjab to Jammu were intercepted at Samba district”s Mansar Morh and 2,214 bottles of codeine phosphate were seized from the vehicles, the spokesperson said. The occupants of the two trucks, Omaak Ahmed Dar, Aaqib Gul and Ishfaq Manzoor from Srinagar and Shakeel Ahmed Dar from Anantnag were arrested and both the vehicles were seized, he said. The spokesperson said a case has been filed against the four under relevant sections of the Narcotic Drugs and Psychotropic Substances (NDPS) Act and further investigation is underway.